The Mezquita at Cordoba was made for prayer. and faces the mihrab in its golden wall. here we worship only Jesus. The new museum at Madinat Al Zahra is hardly written on the landscape. It appears as one white line among blond fields, backed by green hills of nut groves and pine. the remnants of red on a wall. the cries of birth and death. freely lose and find your soul here. 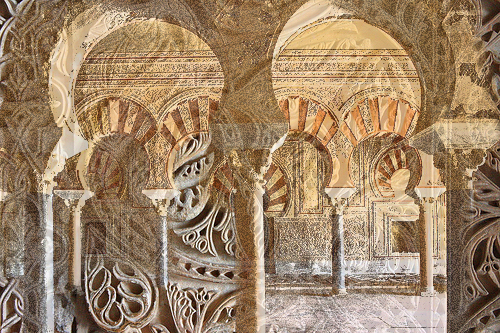 This entry was posted on 13 April, 2017 in homepage and tagged Andalusia, Carmel Cummins, Claire Palmer, Cordoba, Madinat Al Zahra, The Mezquita. Bookmark the permalink.